Our partners and dreamteam Sheananigans hosts are throwing a benefit to save to New York's Beloved Shea Stadium. 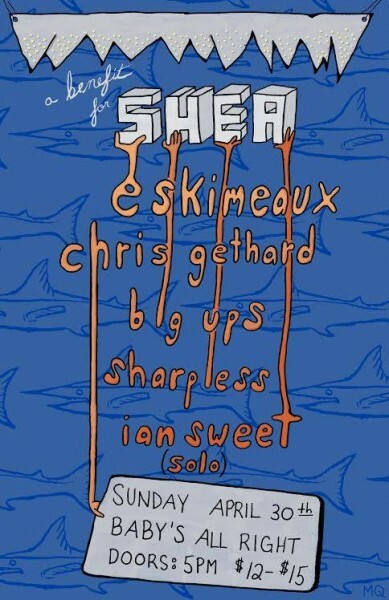 On Sunday, April 30th, 2017 you can catch Ó Eskimeaux, Chris Gethard, Big Ups, Sharpless, and IAN Sweet perform to save Shea. Make sure to get your tickets! Every single one sold helps. Live music archivists and hosts Adam Reich, Luke Chiaruttini, and Nora Dabdoub of Brooklyn venue Shea Stadium invite members of the DIY music community to share their favorite tracks, favorite stories, and discuss the past, present and future of independent music in NYC.